The head of the Liberal Democratic party has promised to turn Russia into a parliamentary republic ruled by Czars, and has blasted ongoing political protests as attempts to launch an “Orange revolution”. In an article published in the popular daily Izvestia on Thursday, presidential candidate Vladimir Zhirinovsky said that if he wins the election, his first action would be to change the name of his post from “president” to “Head of Russia” or even Russian Czar. 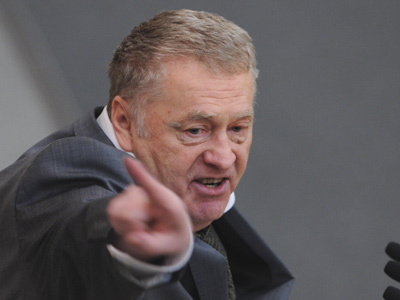 Zhirinovsky wrote that the lack of respect for Russia in the international community had its roots in the fact that Russians used a foreign word to name their leader. As well as renaming the head of state, Zhirinovsky proposes to limit presidential powers and to turn Russia into parliamentary republic. “The State Duma must form the government and, like in all European countries, the leader of the parliamentary majority must be appointed the chairman of the government. And the head of state will be elected at the parliament session and for just one term of five years,” the article reads. Zhirinovsky, who has always based his political activities on openly nationalist rhetoric, remained true to himself in his article. He said that Russia must decriminalize extremism and start basing its life on the “Russian idea”. Zhirinovsky writes that penalties for extremism are only applied to ethnic Russians, meaning they are invalid and should be canceled. He goes on to say that Russia must be a united and centralized country and blasted all tendencies towards regional separatism as corruption and even terrorism. 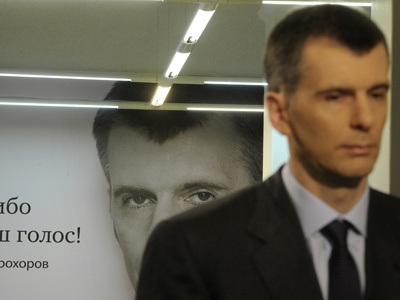 The head of the Liberal Democratic party also blasted ongoing mass protests against election violations as an “open attempt to organize an Orange Revolution in our country,” referring to the events in Ukraine in 2005 when mass protests led to the displacement of the elected president and new elections that brought the opposition to power. He also said that the December rallies in Moscow marked the start of the Orange Revolution and insisted they were sponsored by the West. On foreign policy, Zhirinovsky writes that Russia is antagonized by all of its neighbors, both in the East and West, and pledged to concentrate on internal development instead of trying to help other nations. 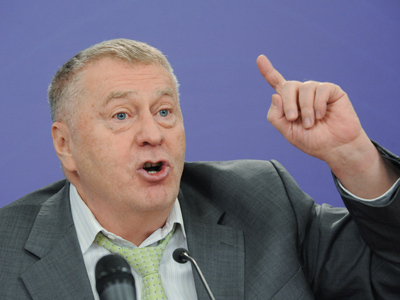 The candidate’s internal agenda was also nothing new – Zhirinovsky urged to fight alcoholism and drug addiction, as well as tackle the low birthrate, poor housing and the like. 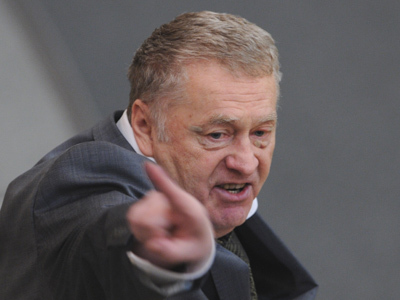 Zhirinovsky advocated a strong volunteer army, at least in times of peace. Despite his litany of complaints about the state of the country, Zhirinovsky concluded that Russia had started a great journey and plenty of triumphs await the country on the way.